This Summer inkle, the studio that brought you the gorgeously interactive Steve Jackson’s Sorcery!, will be taking mobile gamers on a new adventure around the world with intrepid traveler Phileas Fogg. 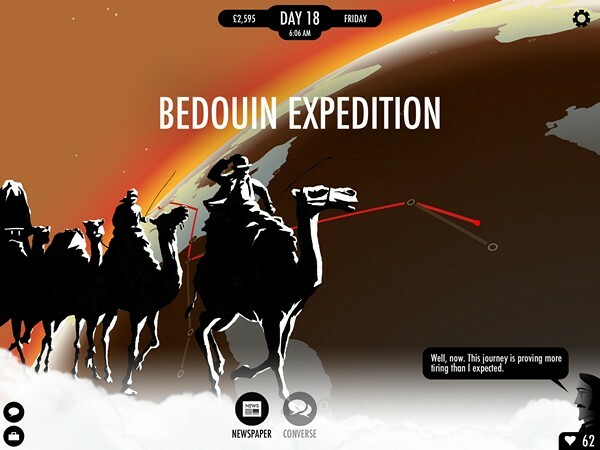 Penned by author Meg Jayanth, and inspired by the classic Jules Verne novel Around The World In 80 Days, inkle’s newest interactive narrative app, ’80 Days’ puts players in the role of Passepartout, Phileas Fogg’s “long-suffering valet and travel companion” as they “choose their own paths in an attempt to circumnavigate the globe and win a hefty wager”. In this vast adventure across all seven continents, the player’s decisions weave a story written on the fly by the same flexible narrative system behind inkle’s acclaimed Sorcery! mobile games. 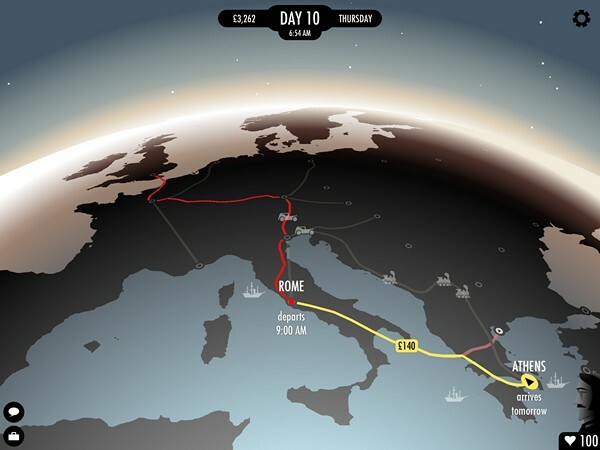 Getting around the world before the clock runs out requires strategy, cunning, and a dash of luck, with no two attempts unfolding the same way and boundless replay opportunities awaiting players who aspire to beat their best time. The game features over ten thousand choices to make, a cast of hundreds to interact with and more than 150 cities to explore. A cool networked live feed feature will put a little fire under your feet as you see the paths chosen by other readers and try to forge the fastest possible trip around the world. All manner of transportation is at your disposal from the common camel or horseback to the futuristic hydrofoil and hover-car in this steampunk re-envisioning of the classic tale. I’ve always enjoyed this Jules Verne tale of travel and adventure and as a kid one of my absolute favorite mini-series was the 1980’s Pierce Brosnon take on the role. I really enjoyed inkle’s Sorcery!, but I wasn’t familiar with the source material, so now I can’t wait to see inkle’s take on something a bit more familiar, and embark on this worldly adventure myself.